Byond Tech has now become a major player in the Indian mobile phone industry. Byond Tech has launched it’s two new tablet as Mi-Book L1+ and L9+ with a surprising element,”Airmouse” in the Indian market. Byond Tech is a fully-owned subsidiary of the Canpex group of Companies. Byond Tech L1+ featured with 7-inch capacitive multi-touch screen display with a screen resolution of 800 x 480 PIXELS. 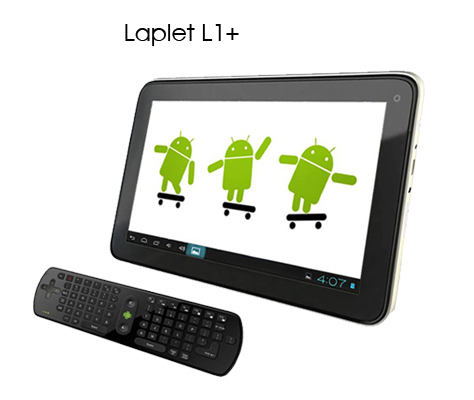 L1+ runs on Android 4.0.4 (Ice Cream Sandwich) Operating System powered with 1.2 GHz Cortex A8 processor, that enables net surfing much faster and smoother. In terms of Camera Optics, Byond L1+ is equipped with VGA front-facing camera. As per it’s dimensions is concerned, Byond L1+ is 11.6mm thicker and weighs around 324 grams. To power it up, L1+ 3200 mAh battery which claims to deliver around 4-5 hours of usage. Specifying towards it’s memory, L1+ pack with 4 GB of internal memory which is expandable upto 32 Gb with microSD support, along with it 512 MB of RAM. As far it’s Connectivity is concerned, L1+ support 3G (via Dongle), WiFi, USB 2.0 and apart from that it has 3.5mm audio jack. L1+ is placed at a price tag of Rs 6,799. 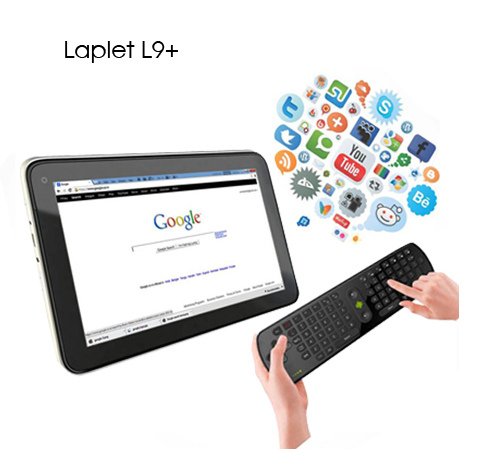 Byond L9+ sports a descent display of 9 inch capacitive multi-touch display blowing 800 x 480 pixels of screen resolution. L9+ packs up with the almost same configuration in terms of platform and processor, it also runs on the same Android 4.0.4 (Ice Cream Sandwich) Operating System powered with 1.2 GHz Cortex A8 processor. L9+ offers VGA front-facing camera in terms of Photography, with 1080p Full HD video playback. L9+ 10.9mm thick in dimensions weighing approx 474 gms. L9+ offers 8 GB of internal memory which can be extendable upto 32 GB with microSD support, 3.5mm audio jack. L9+ offers a huge 6000 mAH power capacity, delivering usage time approx 7-8 hours. As far it’s Connectivity, l9+ support 3G (via Dongle), WiFi, USB OTG. The Price of L9+ is Rs 8,999. And, both these tablet will be made available at all the leading retailer of the country. However there is not much details about their AirMouse feature, we may bring you details soon.